Alumni - Lambda Phi Epsilon International Fraternity, Inc. There are approximately 10,000 initiated members of Lambda Phi Epsilon International Fraternity, Inc. Globally, 9,000 of these members are alumni. The goal of the Alumni Division is to get every Lambda Phi Epsilon alumnus to embrace the blessing of spending the rest of his life in deep, engaged, and rewarding fellowship with his brothers. Whether it be mentoring undergraduate students, producing local alumni social and professional networking events, or coordinating alumni community service projects, all alumni are encouraged to uphold their lifetime commitment to the brotherhood and usher in a new era of their lives. Later this year, we will begin the process of printing membership certificates for all living brothers. Brothers must have a MemberPlanet account in order to qualify for a certificate. 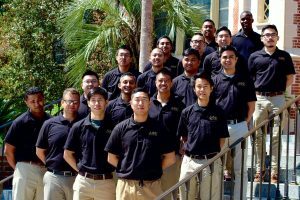 Lambda Phi Epsilon is driven to provide world-class opportunities to its members. Private donations support the ongoing development of Lambda Phi Epsilon services and programs. Financial contributions provide undergraduate members with travel assistance to international events, funding for student scholarship awards, improved coordination of fraternity events, and fuel for the expansion efforts that have made up the largest Asian-interest fraternity in the world. Private investment also symbolizes a significant vote of confidence in the work and the potential of the Lambda Phi Epsilon from our alumni, friends, volunteers, parents, faculty, and current active members. Please contact our Fraternity Treasurer to arrange a financial donation today. Chris Cheung (Johns Hopkins): Co-founder and CEO of Boxed, a mobile e-commerce startup delivering household goods via smartphones and tablets. Listed as one of the “most desirable men in NYC” by the New York Post in 2015. Toshi Hayama (UC Irvine): Actor on The Fast and the Furious: Tokyo Drift (2006), Welcome to Drifting (2006) and Fast & Furious (2009). Steven Hong, PhD (Michigan): Cofounder of Kumu Networks. In 2017, honored as Forbes 30 Under 30 list for Enterprise Technology. Kalani Hoo (UC Davis), North Las Vegas Justice Court Chief Judge. Tejune Kang (UC Davis): CEO for 6D Global Technologies, a NASDAQ-listed digital business solutions company serving the digital marketing and technology needs of enterprise-class organizations worldwide. David Kim (UC Davis): Artist and winner of the 2015 Heritage Award by the Asian Pacific American Heritage Foundation. 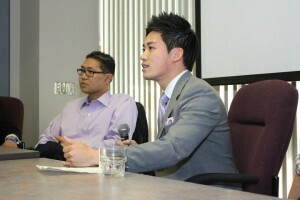 Yul Kwon (Stanford University): Winner of Survivor Cook Islands and named one of People Magazine’s Sexiest Men for 2006. Served as deputy chief of the Federal Communications Commission’s Consumer and Governmental Affairs Bureau. Host of PBS show “America Revealed.” Head of Privacy for Facebook. Geoffrey Lee (Cal-Poly SLO): 2016 San Francisco Chronicle Rising Star Chef and 2017 Michelin Star Chef. Ajay Nair, PhD (Pennsylvania State): 2018 President of Arcadia University, 2017 Senior Vice President and Dean of Campus Life at Emory University. Paul Qui (University of Houston): Winner of Top Chef: Texas in 2012. Represented the United States of America at the 13th annual S.Pellegrino Cooking Cup where he became the recipient of the 2013 Young Chef of the Year award. William Derek Quan (UC Riverside): Superior Court Judge of Imperial County in California. Graduate chapters are a way for alumni to continue building our brotherhood and serving the mission of the International Fraternity. Graduate Chapters will be focused in four primary areas: Leadership & Development, Undergraduate Relationships, Community Engagement, and Brotherhood & Networking. Members of a graduate chapter will have a voice in the fraternity (be able to vote on policies at Convention) and will be able to take advantage of opportunities to network, develop both personally and professionally, and move forward with purpose. If you are interested in starting or joining a graduate chapter, please reach out to the International Board Alumni Team at alumni@lambdaphiepsilon.org! In order to charter a graduate chapter, three specific criteria must be met. First, a minimum of 10 graduate members must be registered with the International Fraternity. Additionally, the group must be able to demonstrate that it can provide Graduate Member services in a geographic footprint that i) does not overlap with or ii) is substantially unique from other Graduate Chapters. Finally, a Graduate Chapter is required to submit a letter of interest to the Director of Alumni Services. In consultation with the Director of Alumni Services, the Board of Directors will vote to approve recognition of the Graduate Chapter. The International Board is actively seeking alumni volunteers to contribute to the growth and operations of the organization. Alumni who can contribute approximately 10 hours or more to the organization per week are encouraged to apply for a staff position. Applications for unpaid staff positions circulate a month prior to Convention every year. All volunteer appointments are made through the Executive Director. While volunteer officers would not be entitled to any reimbursement for travel, they are invited to attend Convention at no cost as their registration and lodging would be covered. Please contact the Director of Alumni Services (alumni@lambdaphiepsilon.org) to learn more about which volunteer opportunities are currently available for alumni to engage and contribute. 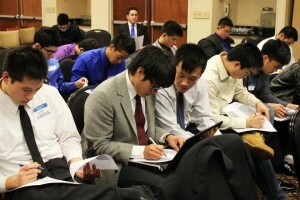 Chapter Advisors: Help to mold the future of Lambda Phi Epsilon by advising a local chapter. Chapter Advisors work in concert with the Regional Governors to implement international programs and to provide advice and support on the day-to-day running of a chapter. Advisors can expect to dedicate 1-2 hours per week to their chapter. Alumni Team: Assist with the implementation of Graduate Chapters. Communications Team: Contribute content to the LFE Magazine in the form of written articles and graphic design. Education Team: Aid in the intake and ritual processes of a chapter transitioning to the Noble Brother Program. Serve on a working group to update and improve the Noble Brother Program, Lambda Phi Epsilon’s revised International New Member Education Program. Time commitment varies based on assignment. Expansion Team: Facilitate the mentorship of a new Interest Group. Standards and Assessment Team: Review individual scholarship and chapter awards to be conferred at Convention. Assist with judicial investigations. Time commitment varies based on assignment.